Cambridge Folk Festival is one of the longest running festivals in the UK, it's been held in the beautiful setting of Cherry Hinton Hall since 1965. The Festival is renowned for its unique atmosphere and an eclectic mix of music and a wide definition of what might be considered folk. The best traditional folk artists from the UK and Ireland rub shoulders with cutting edge contemporary acts, the finest American country, blues and roots artists, acclaimed singer songwriters and world famous names. 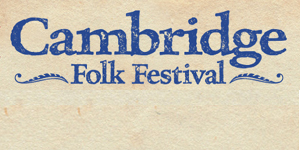 Cambridge Folk Festival attracts around ten thousand people, many of whom return year after year.